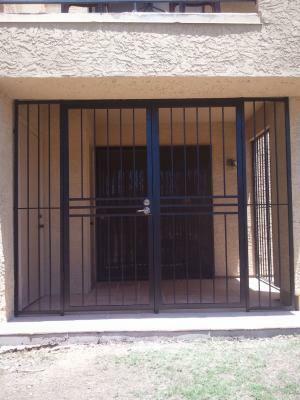 At Steel Advantage® our steel enclosures are the ‘hallmark in quality and value’ in the southwest market. The Steel Advantage associate responsible for your product(s) represents a highly experienced staff of craftsman and installation technicians, bringing you the highest quality products backed by the strongest and longest warranties in the industry. 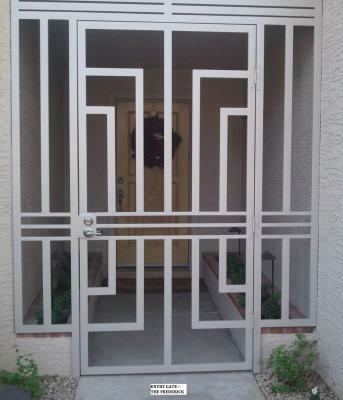 Steel Advantage can build your custom entryway enclosure for a stylish access control solution, pet retention, or simply a dramatic entrance to your home or business. Custom enclosures are available both screened and unscreened. Each individual totally customized steel enclosure is hand crafted right here in the valley by our factory trained artisans, using steel produced 100% in the USA. At Steel Advantage you will always be dealing with company employees, never a sub-contractor. 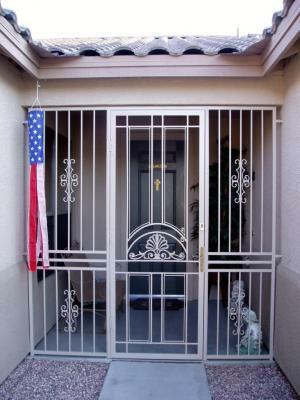 Protect your home and family with an attractive new steel enclosure today. Our ‘Home Protection Warranty’ is included automatically with every steel security enclosure we build, offering you the safety and security your family or business deserves. 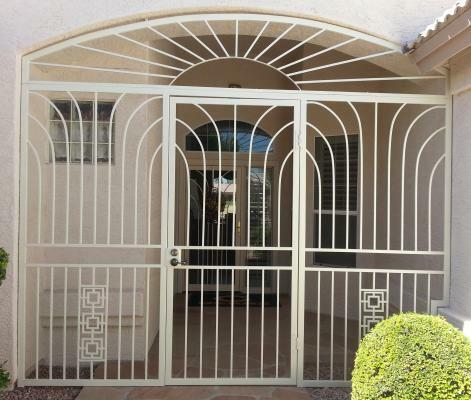 Call us today at 602-710-2913 or use our online estimate request form and we’ll get back to you by phone or email. (your choice) You’ll be glad you did. At Steel Advantage we boast a 100% Customer Satisfaction rating as determined by an outside, third party auditor. We also offer our Best Price Guarantee. 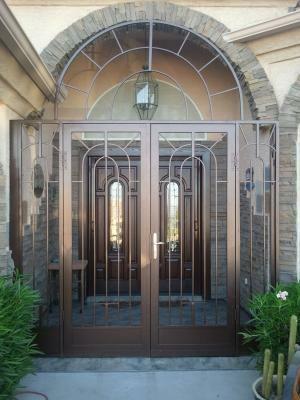 All enclosures are custom built and fitted to your opening. All enclosures are heavy duty 16 gauge steel construction. One way screws are used for additional security. Lock box design for lock & lever combination or slimline lock system depending on door style selected. Included – black only. Door closer may not fit on all applications. 1” x 2” frame with ½” x ½” pickets, all 16-gauge tube steel, 100% welded is standard in most cases. 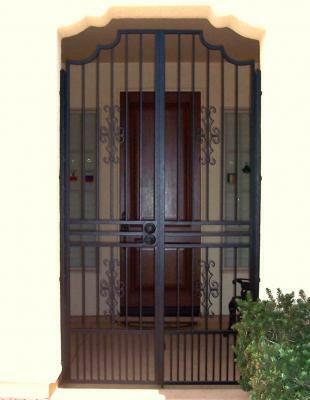 *steel sizes are subject to change without notice to the customer, due to how extremely custom this product is. Door: will be mounted on the screened enclosure the same way it would mount on a regular door opening. Open air gate: will be mounted on the unscreened enclosure the same way it would mount on a gate opening, without the posts. This is a dry paint process, cured in an oven, which offers excellent resistance to corrosion, heat, impact, abrasion and fading from extreme sunlight and extreme weather conditions. There are more than 200 powder coat colors available. Steel Advantage’s custom steel enclosures all feature a limited lifetime warranty.